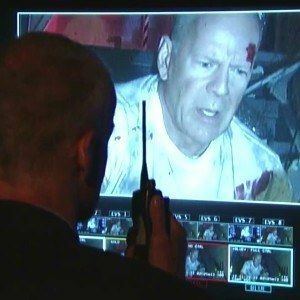 Bruce Willis recently visited the Late Show with David Letterman, where he promised to premiere a clip from his latest John McClane sequel A Good Day to Die Hard. Sadly, this first look at the film got accidentally dipped in a little Twilight butter. Check out the results, which may or may not make you very angry!